Today’s post looks deep into the skill of creating a villain. Your story contains many elements that are critical: a main character, a plot, settings, etc. One of the most important is the villain or the antagonist. He adds depth and flavor to your story, more so than any other secondary character. Let’s dig deep into creating a villain. For this post, let’s assume your villain is a person, human or otherwise. Who is he? What connection does he have to your protagonist? Is their fight over the same goal (more on goals later) of a long time nature? Have they never met? What brings him into the story? His background determines his motivation. Was he hurt, rejected, scorned, or humiliated in his youth? The villain has a story before he enters yours. 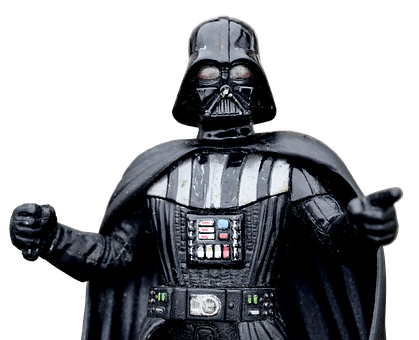 Find out what event or events triggered his turn to the dark side. What does he desire and what does it mean to him? Revenge? Power? Justice? Why does he want what he wants? What does he want to accomplish? The event(s) in his past changed him and stirred his desire for an intangible, emotional goal. How far will he go to reach his goal? Is there a red line he won’t hesitate to cross? Deb Dixon’s book, GMC (goals, motivations and conflicts) introduced me to three key components in character development. These attributes are as important for your antagonist as they are for your protagonist. Your antagonist should have two goals: external and internal. Your antagonist’s external goal should be obvious, something others will notice. He wants something to happen. Or not happen. Darth Vader wants to control the Empire. The carpet-bagging Yankees want to squeeze every dollar out of the South. The Wicked Witch wants the ruby slippers. The antagonist’s goal is something tangible and concrete, and he’ll fight like hell to get it. Why? Because some deep, dark, secret internal goal drives him, sometimes beyond reason. Problems and setbacks won’t discourage him and will make him work harder to achieve his goal. His internal goal is his weakness, something he may despise about himself and is therefore reluctant to face. It’s something he’ll guard from his enemies. They will mock him, belittle him, and use the force of his desire against him. So he must protect it, giving it more attention. Every setback will simultaneously drive it deeper and pull it to the forefront. His goal becomes a blistering, festering pain that drives him forward. He will use it to justify his actions and will warp acceptable, believable logic in order to do so. Make his internal goal relatable to your reader. Make it memorable. Darth Vader lost the love of his life and his children and wants revenge. 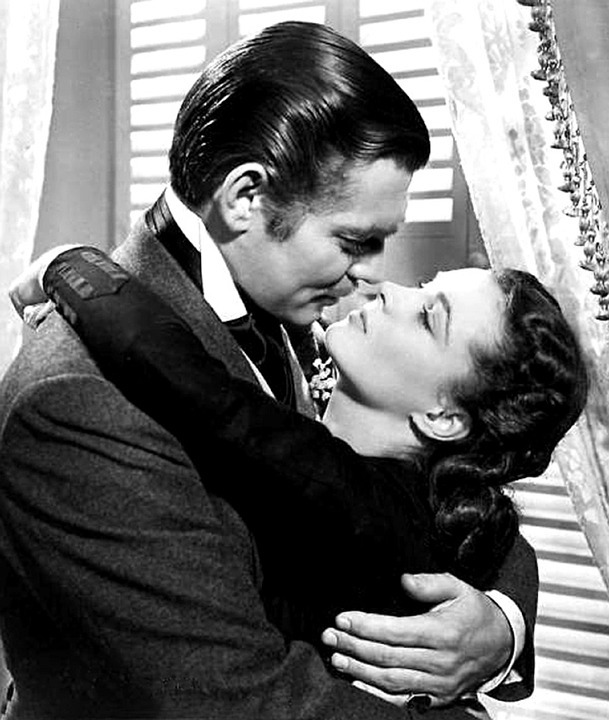 The carpet-bagging overseer wants to humiliate Scarlett O’Hara because he was humiliated when he was fired from Tara. The Wicked Witch is a coward and uses the pursuit of power to hide her weakness. Look at why the antagonist hasn’t accomplished his goal yet. What has or hasn’t happened when the story opens that has prevented him from checking the “done” box? How does the protagonist’s entry affect his plans? How does he deal with threats and opposition? Which brings us to conflicts. Obviously, your antagonist’s conflicts stem from the actions of your protagonist. She is his main threat to him not achieving his goal. How does she get in his way? Remember, your antagonist won’t have the skills she needs in the beginning of the story. She might be more of an annoyance, but as she experiences her own setbacks, she’ll learn lessons and gain knowledge and strength. The protagonist’s external conflict is something concrete. Darth Vader battles the Rebel Alliance for control of the universe. The Yankees and Confederates fight over the slavery issue. 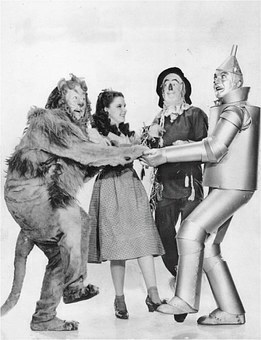 The Wicked Witch and Dorothy fight over the ruby slippers. The protagonist’s internal battle is also relatable to the reader and is as important as his external conflict. Does he have self-doubt? Does it stem from his weakness? If he was mistreated as a child and he vows to seek revenge, is there a corner of his mind that doubts revenge will be enough? You’re writing a multi-dimensional villain. He can’t be a cliché. He can’t be evil because evil is fun to write. Give him some internal fears and make sure his darkest fears are in contrast to the protagonist’s desires, making his conflict stronger. As he battles the antagonist, his uncertainty as to how his enemy will react will create tension. It may seem like he’s winning, especially in the story’s beginning, but with each defeat, the protagonist is learning something, acquiring skills, and getting stronger. Your antagonist, on the other hand, doesn’t have as wide, if any, of a character arc. He clings to his hurts. He may regroup and change plans, but his overall strategy doesn’t change. The goal is in sight, and he will not change internally to accomplish it. How do you write a believable villain? Think about what disturbs you. We all have darkness within, something we can identify with his darkness. Tap into that darkness, and you’ll have no problem on how to write a villain. This post is part of the #AuthorToolboxBlogHop. Click here to join the hop and to see what other writing tips you can learn from this month’s edition. If you’d like to continue reading my my blog posts, please use the entry form to the right. Become a Sterling Reader. Receive exclusive excerpts to future books, book cover reveals, free books, and a ton of other fun information by signing up for my newsletter. This entry was posted in Writing tips and tagged antagonists, character creation, character development, creating characters, creating the villain, Darth Vader, Gone With the Wind, Star Wars, The Wizard of Oz, villains, Wicked Witch of the West, writing the antagonist, writing the villain. Bookmark the permalink. Great list  Villains who are evil for the sake of it irritate me, and I love it when a villain is relatable. The best advice I heard for creating villains is to outline the story from their perspective to build up a good idea of who they are and what they want. Wow, great post! The idea of a layered and complex villain gets me so excited! It is so satisfying to read an antagonist that you thought you had figured out in the beginning and before the end has a completely different side to them and you discover they are actually relatable. I need to check out these Princess Bride posts! One of my absolute favorites! villains can be too fun to write! I agree. An adversary without proper motivation is a caricature. A good villain is the hero of his own story. Right! Sometimes their reason for their actions is simple and justifiable (in their minds). Abused when he was a minion third class. Hurt because thier son died and someone else became the heir to the kingdom. Little things like that. Yes, keep your English moustache out of the mousse pudding! All good things to remember, thank you! I was (and still am) so disappointed with the way the villain backstory for Darth Vader was presented in the Star Wars reboots a few years ago. I think it was episode 3? The screenwriters should have had access to your post, they would have avoided many mistakes! Thanks for the tip on Deb’s book. I’m going to read it. Hi Cheryl! Sadly, I have absolutely included a few of your no-no’s in writing antagonists. I learned the error of my ways quick enough, but it was fun reading your post and doing a mental checklist of what I should avoid. 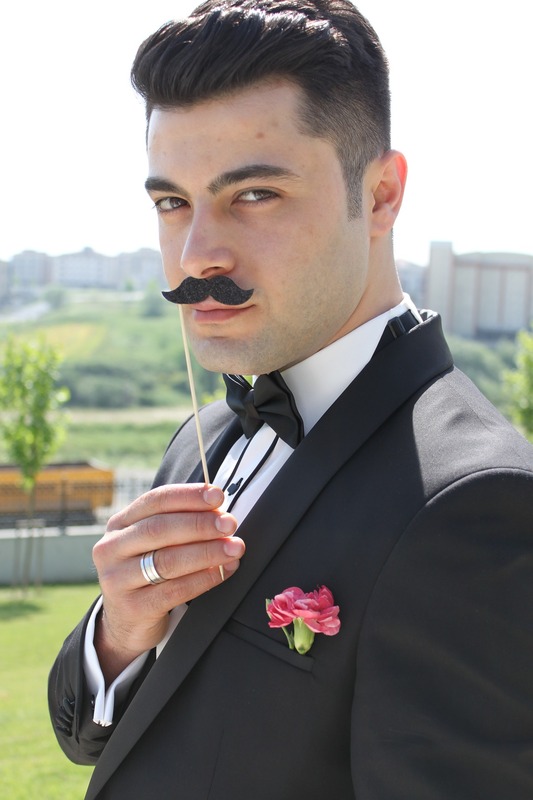 I remember a beta reader said she could almost see my antagonist twisting his handlebar mustache. *face palm* Your blog post reminded me a few other tropes and flat character traits to avoid! Thank you for sharing. Although I disagree with there only being three types of plot conflict in writing, I love this post! We definitely need to know why a villain is ‘evil’ and what makes him/her tick. Ive been working on my villian’s backstory, and it’s heartbreaking. Deb Dixon was the speaker at my very first writing conference! Well, I told George Lucas about the problems at lunch one day . . .
Tropes are a good springboard for ideas, but we need to add our own twist on them to keep them from cliche-land. I steal all the good lines. It’s amazing what our characters will tell us if we dig deep enough.